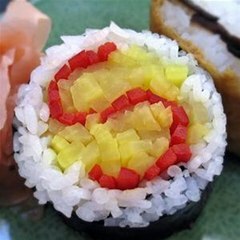 "For the rice, I use this no fail recipe to make perfectly seasoned sushi rice (but I use my trusty rice cooker instead of a pot, and I don't always use the kelp). 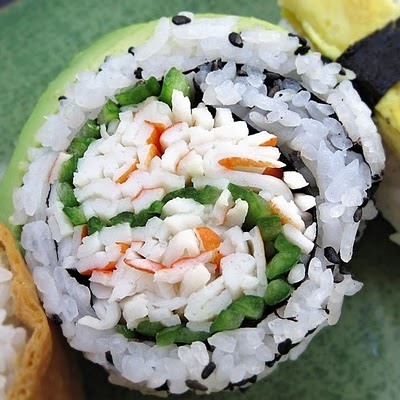 The recipe will make a large quantity of rice, enough to make around 8 maki rolls. I alternate between Nishiki and Kokuho Rose brands of sushi rice, depending what I can find in the supermarket, but for this challenge I used Nishiki. 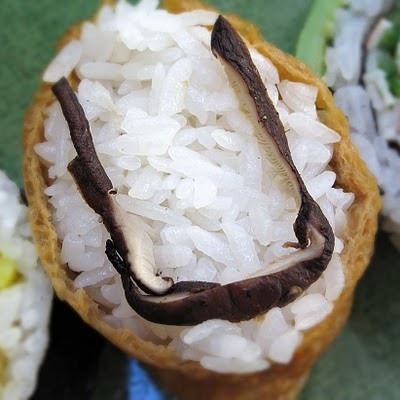 And any decent brand of nori will do (today I used Takaokaya yakinori). 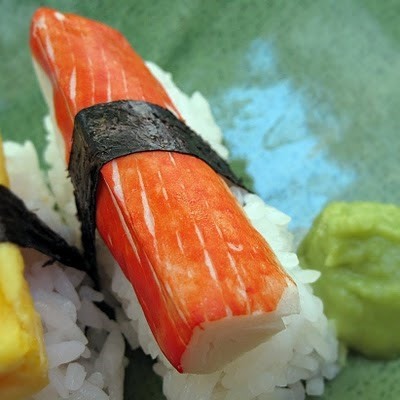 You will need a bamboo sushi mat, which I always wrap tightly with plastic wrap so nothing sticks to it (and for easy cleanup). You'll need to moisten your fingers while working with the rice (the rice gets sticky) so fill a small bowl with water and add in a splash of rice vinegar. And use a moistened sharp knife for making clean cuts." Now, on to the actual lettering. Click through for me HUNGRY! 's detailed instructions. 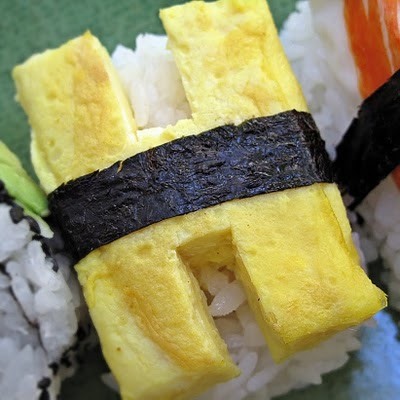 Previously, School Yourself on Proper Sushi Etiquette. 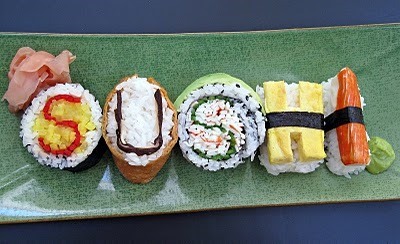 HowTo: Peepshi = Peeps Sushi. 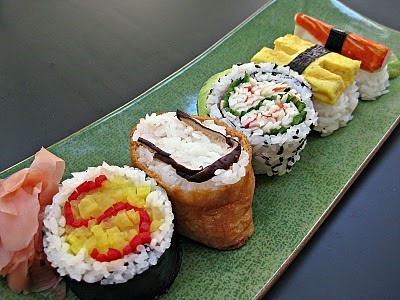 Looks Like Sushi, Tastes Like Cupcake. This Dog is Teaching Our Japanese Brethren to Cook. Wow they got the letters aligned correctly during the roll somehow. Thats some skills.